The money raised through Viking Challenge is split between Redmile CofE School and one other nominated charity. Redmile School sits unassuming in the small village of Redmile, located in the Vale of Belvoir, and in the shadow of Belvoir Castle (the seat of the Duke of Rutland). With 87 pupils, organising and hosting such a successful event like the Viking Challenge is no small feat and something that the staff, children and parents are immensely proud of. 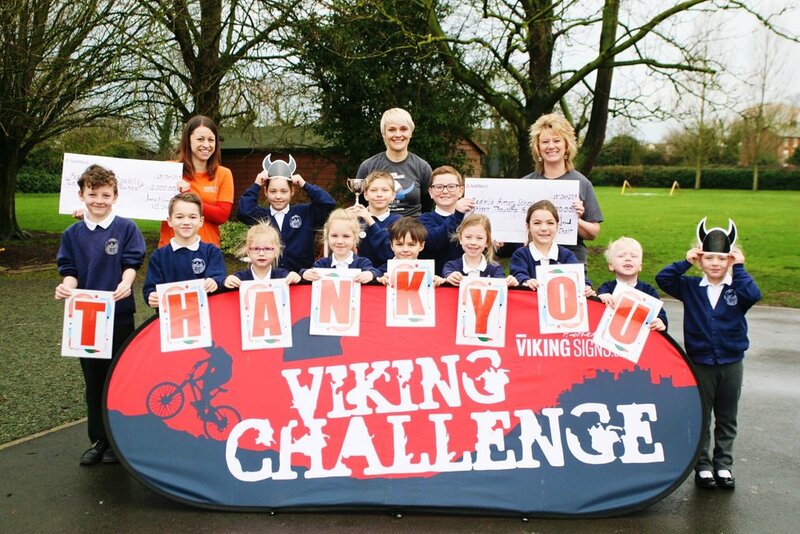 The Viking Challenge makes a big impact and has raised thousands of pounds for the school and other charities. Our 2019 charity partner is the MS Society. More than 100,000 people in the UK have multiple sclerosis and many hundreds of thousands more have a friend or family member with the condition. Every one of them shares the uncertainty of life with MS. The MS Society is the leading UK charity for people affected by MS. We're fighting to improve treatment and care to help people with MS take control of their lives. And with your support, we're funding practical support and research to help us beat MS for good. Our mission is to enable everyone affected by MS to live life to their full potential and secure the care and support they need, until we ultimately find a cure.